When it comes to utterly relaxing, life-affirming escapes, you’d be hard-pressed to find a more accommodating accomplice than Thailand. From fiery curries to gold-clad palaces and tension-busting massages, a stay here is a boon for the sense. Stretching from serene mountains to tranquil white-sand beaches – but fun-loving and flamboyant when the mood takes it – this South-East Asian retreat is always enchanting. 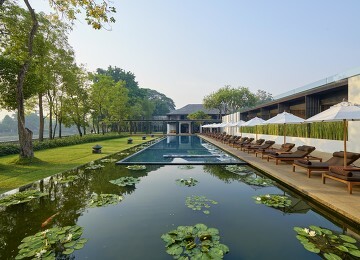 Spa-toting, pool-flaunting and occasionally elephant-hosting, its stylish boutique hotels are equally delightful. Nestled in Thailand’s northern mountains, this ancient capital is packed with awe-inspiring shrines, handsome teak houses and temples to gastronomy. 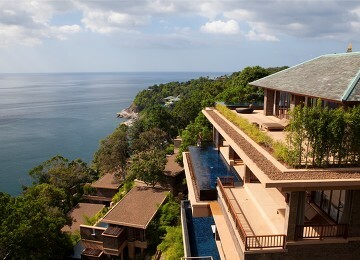 Linger here for glimpses of Thailand’s fascinating past, or hit the region’s hiking trails in luxuriant hill country. 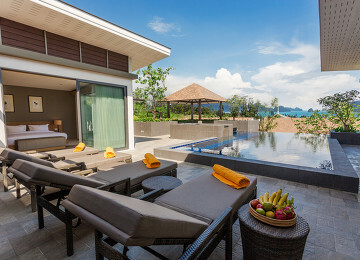 Its backpacker-pleasing days may well have faded, but Koh Samui still retains the laid-back languour of its halcyon days. The island’s beachfront retreats are grown-up and sophisticated: expect sultry nightlife, crystal-clear waters and top-notch spas. There’s more to this island than its infamous Full Moon parties: pristine sands stretch seductively in the sun, postcard-perfect bays beckon off the beaten path and remote villages hide elegant boutique resorts. This provincial capital is a jumping-off point to the north east of Thailand: explore Bronze Age relics and ancient cave paintings in Phu Phra Baht Historical Park and sample the region’s tantalising freshwater fish and fragrant sticky rice. Long synonymous with exotic escapes, Phuket has some of the Andaman Sea’s most striking beaches. 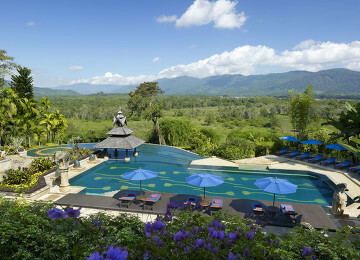 Away from the coast, a magnificent Big Buddha, lush National Park and bustling markets await. Unique to northern Thailand and linked with the region’s ancient Lanna kingdom, the upcoming Yi Peng festival - one of the most celebrated events in the Thai calendar - returns annually in November.